The fourth season has started and it is shaping up to be awesome! 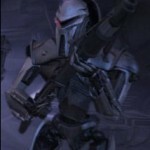 Is Starbuck the last unidentified humanoid Cylon model? Certainly there are many signs of this: survival of the explosion that destroyed her ship at the end of season three; a perfect recreation of her Viper ship for her return flight; her lack of observation of passing time (perceived six hours vs. two months). But that seems too obvious. So how do you explain her return, if it wasn’t because of Cylon technology? Maybe it was divine intervention but I’ll be disappointed if that is how it plays out. My own theory is that Starbuck really did encounter Earth but their civilization is far more advanced than the Colonial fleet as well as the Cylons. Too fantastic though, even for BSG. I’m waiting to see how the storyline plays out with Anders. Clearly he was “programmed” by the Cylon raider ship during the battle, we (as viewers) have knowledge of that event therefore the writers will make us wait and wait to see what happens. Will Colonel Tigh try to kill himself? Or the Admiral then himself? Gosh that is evil but very enjoyable all at the same time. I can hardly wait for the next episode! I understand there will be a new spin-off series Caprica to replace BSG next year. I’m a bit skeptical about this one – it can’t really be set before the most recent Cylon war, and it can’t really be set in the present timeline on the occupied planet Caprica, so I don’t quite know what to think about it. However if the writing is as good as BSG then I’m definitely on board.